By Marcus Doran, Director of Sales, Europe at Rahi SystemsA U.K.-based bank recently discovered the risks and challenges associated with data migration. When it was acquired by a Spanish banking group, the bank was faced with transferring customer data from one system to another. Many things went awry, resulting in disruption of some operations and the compromise of data privacy. Worse, some customers lost money due to fraud. The bank had to pay millions in costs, lost thousands of customers, and suffered massive reputational damage. Data migration at the enterprise level is far from a copy-and-paste operation. It’s a huge undertaking that requires careful planning and execution to prevent downtime, data loss and business disruption. If the data to be transferred is sensitive, it must be protected by stringent security measures. The first step is to assemble a cross-functional team that includes IT personnel with the appropriate skill sets along with the line-of-business managers, users and data owners who will be most affected by the migration. There should be some overlap of responsibilities so that the illness or absence of one team member does not derail the operation. It’s also important to gain the full backing of senior management so that team members can stay on task and not be distracted by other responsibilities. Once the team is in place, the planning begins. The team must thoroughly assess the scope of the data to be migrated, analyze the applications and databases involved, and understand the critical dependencies. Armed with that knowledge, the team can develop a migration strategy with rollback provisions should something go wrong. In large or highly complex migrations, a phased approach may be warranted. The strategy should identify risks and include clear policies for managing those risks. It should also provide detailed testing processes and define the criteria that must be met to deem the migration a success. Because few organizations can tolerate an extended system outage, data migrations typically must take place over a weekend. In order to ensure that the migration runs smoothly within the allotted timeframe, the team should conduct a trial migration to a non-production system. The trial will enable the team to fix any problems that arise without impacting users. Users should be involved in the testing process. Users understand the applications and data can quickly spot any issues. Functional testing should focus on interfaces between various application components and the data sources those components connect to. If users thoroughly test the system and are satisfied with the results it may be safe to go live. None of this is easy, and few in-house IT teams have any experience in data migration. That’s why it typically makes sense to engage outside experts. Rahi Systems has helped some of the world’s largest enterprises and service providers successfully complete data migration projects. It’s impossible to know how the U.K. bank’s data migration went so terribly wrong. Perhaps problems were not uncovered during testing, or they were identified but ignored. Either issue points to inadequate planning and/or insufficient risk management policies and procedures. The key takeaway here is that organizations should never cut corners when it comes to data migration. Let Rahi Systems help you plan and execute your data migration project to minimize business impact. Marcus Doran is Director of Sales, Europe at Rahi Systems. Marcus is an experienced data center infrastructure sales professional with 20 years’ experience in sales growth, revenue generation and new business development. He joined Rahi Systems in April 2016. 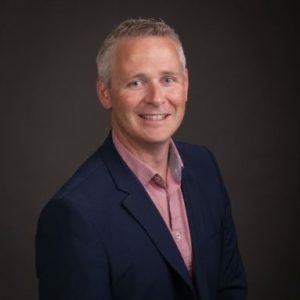 Through his two-decade career, Marcus has worked all over Ireland, the Middle East and the UK as a sales manager, a channel manager and a major account manager.